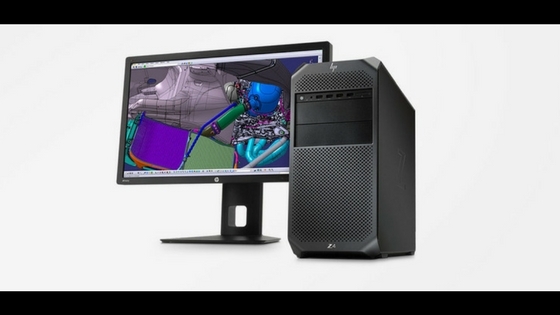 Hewlett-Packard has launched the fourth-generation of their Z-series workstations in three new variants. They are aimed at professionals who need more-and-more computing power in their day-to-day work, including people creating 360-degree video and Virtual Reality content. It is the entry-level system among the three. It features a single Intel Xeon W chipset (you can choose from the eight available options), up to 256 GB DDR4 SDRAM, up to 4 TB storage, and eleven graphics options from AMD and Nvidia. The chassis comes with front and rear handles. 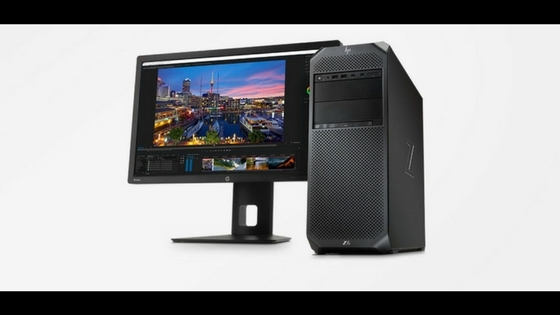 HP Z4 will be available in November later this year at a starting price of $1,239. It is the next-in-line and cozily sits between the Z4 and the Z8. It supports dual chipset, and you can choose from a wide range of Intel Xeon's family of Bronze, Silver, Gold and Platinum processors. Other features include up to 384 GB DDR4 SDRAM (twelve slots of 32 gigs each), up to 4 TB storage, and thirteen graphics options from AMD and Nvidia. Connectivity options include ten USB 3.1 (four in the front and six at the rear), two USB Type-C ports, Ethernet port, and serial ports for mouse and keyboard. Bluetooth and WiFi are also supported. HP Z6 will be available next month onwards at a starting price of $1,919. At the top sits the Z8. One can choose the Operating System to buy along with - Windows 10 Pro for Workstations or Linux. It weighs a whopping 49.4 lb (22.4 kg). Dual CPUs are supported, and you can choose from a wide range of Intel Xeon family processors ranging from Bronze and going all the way up to Platinum. The highest variant (2.5 GHz Intel Xeon Platinum 8180) comes with 28 cores, thus making it 56 cores owing to the dual chipset support. 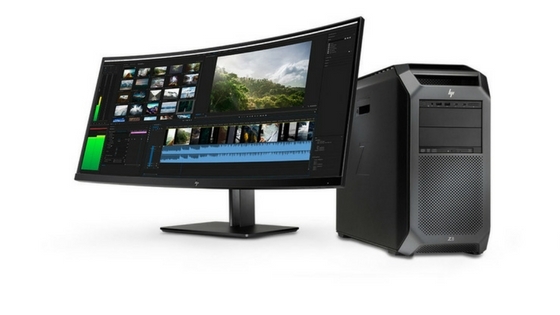 All this processing power reportedly makes the Z8 capable of doing 8K video edits or running real-time 3D simulations. There is also a mechanism to cool the second CPU with fresh air than with recycled air from the first chipset's duct. Other features include up to 3 TB DDR4 SDRAM (twenty-four slots of 125 GB each), up to 4 TB of storage, and thirteen graphics options from AMD and Nvidia. Connectivity options include ten USB 3.1 ports, two USB Type-C ports, and an option to add Thunderbolt 3 as well. HP Z8 will be available next month onwards at a starting price of $2,439.